What this course delivers: Simple and practical tips and tools to help you control your money. You learn how to draw up a budget, control cashflow, keep expenses in check and how to deal with credit, borrowing and how to manage your debt. You will also learn about credit contracts and knowing your rights. OBJECTIVE: To empower people through financial education and foundational budgeting skills made effective with follow up and ongoing support. PHILOSOPHY: "If you give a man a fish you feed him for a day - if you teach him how to fish you feed him and his community for a lifetime". 3 weeks of 2 hour sessions delivered in-house at one of our three Budgeting & Family Support Services Centres or out in the community. 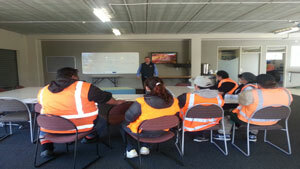 We also deliver our programmes to NZ Probation Services, Prisons and to a number of Private Businesses who bring us in to help educate their workforce on how to make smarter choices with personal income. NB: Students will receive a Certificate of Attendance when they have attended all three sessions. 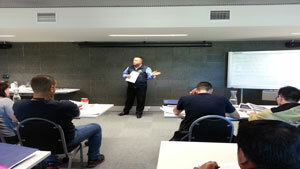 We can also design Financial Literacy classes to meet the need of the audience. These can be a condensed or a comprehensive presentation covering the main aspects of financial literacy as above. We also cover aspects such as investing (we do not give Financial Advice we only discuss the topic), Kiwi Saver, buying your first home, mortgages and how to teach the kids money skills. Giving pocket money to children and teaching them to save a percentage of it on a regular basis will teach them how to save long-term. The purpose of these classes and seminars is to create the awareness of the various aspects of one's financial life and shows you 'how to' be and stay in control of your money. Attendees will receive support material so they can put into practice everything they will learn in class. 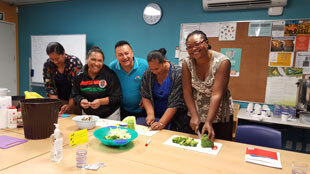 Our Healthy Kai Cooking Classes is made up of cooking demonstrations, offers advice on good nutrition and also where individuals and families learn how to shop smarter, buy healthier food and make the dollars stretch further; thereby Creating Better Futures for the whole family / whanau. "A large number of people simply don't know how to cook, bottom line. 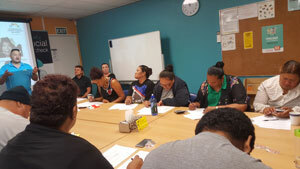 They certainly don't know how to cook on a budget and putting good healthy and nutritious food on the table is often out of the reach of many families" says Darryl Evans, Chief Executive of Budgeting & Family Support Services, Mangere. "But people do want to come and learn. They want to acquire the skills needed to self-manage and provide better futures for their children". 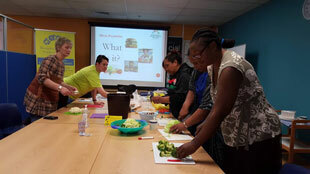 The goal of the Healthy Kai Cooking Classes is that families learn to live healthier lives and also go on to teach their children how to make better choices regarding what it is they buy from the supermarket and how to make tasty, nutritious and affordable meals. We teach people how to look for bargains in the supermarket. How to make healthier choices when buying food and how to plan your meals for the week ahead. Shopping smarter teaches people how to make wiser choices and stretch each dollar further. We also teach people how to read food labels, so you know what you're buying, what the salt content or fat content is in each item you purchase. What we do know is that many families currently struggle with the ever-rising cost of living and in particular the rising rents across the country. 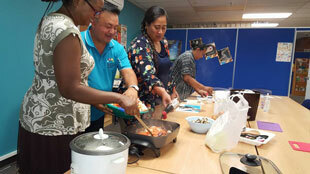 Putting healthy food on the table can be extremely expensive and so what we are hoping to show people is that it doesn't have to be too expensive if you plan your meals, take time when shopping, make healthier decisions around what you eat and put into practice everything you learn from our Healthy Kai Coordinators, Dion Temu and Mel Sullivan; we truly believe that Healthy Cooking can be affordable with some thought and planning! Copyright © 2010 Mangere Budgeting Services Trust. Charities Commission: Registration Number is CC45239. All Rights Reserved. Designed and Hosted by Website Robots, Taropages - Free Online Directory.